BENEFITS: This body lotion incorporates the finest ingredients to renew your delicate skin. Shea Butter is extracted from the pit of a fruit that grows wild in Central Africa. The benefits of Shea Butter are healing, protecting, and moisturizing. You will experience increased hydration levels to calm irritated skin. Botanicals and Hawaiian Red Marine Algae provide skin firmness, skin thickness and also repair damaged skin. The powerful antioxidant Japanese Green Tea Extract is known for its anti-irritant properties, which prevent redness, rough skin and peeling caused by sun drenched skin or harsh weather. Vitamin E, another antioxidant included in this unique formula, helps protect the skin from free radical damage. 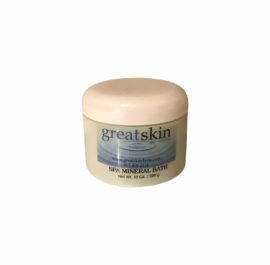 Shea Body Butter reduces the appearance of stretch marks, increases hydration levels and improves skin thickness that is lost with aging.